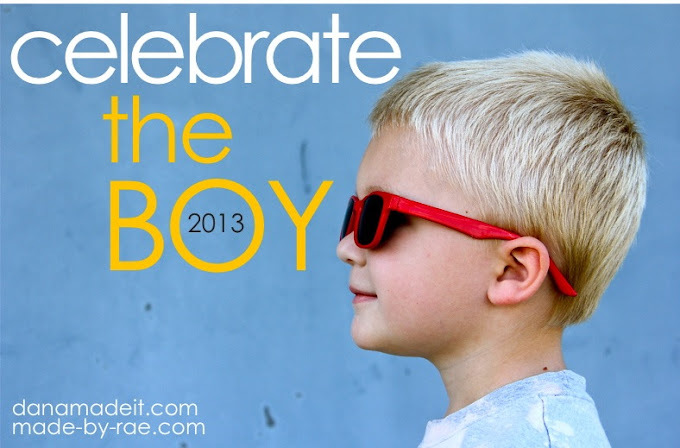 I can’t express in words how pumped I am about Dana and Rae’s celebrate the BOY series starting Monday – “Hey Master B! Be prepared as everything I make is coming your way!” (not that he will be reading this considering he isn’t quite 1 yet, but hopefully his mummy is!) I know I have been absent of late but I love these challenges and this is perfect timing to get me completely motivated again on the blog front! YAY!!! So, I have my list of what I want to try and get made and hopefully I can dream up a tutorial or even a pattern to share with you at the same time (if I can get my brain working overtime for you, but no promises). So what’s on my list? Well, I’d rather not say just in case I don’t get anywhere close to all of them made but I promise this – THERE WILL BE TIES (yes plural). What boy’s wardrobe isn’t complete without a few ties? I am going to road test one of the wonderful tie pattern out there in blogland so that won’t be the tutorial or pattern, but hey someone will get a shout out on my blog – will it be your tie pattern I use??? Have no idea what I’m yammering on about??? Well go over HERE and HERE and check out all the details!